It is with humble acceptance of God’s will that we announce the sudden death of Mrs. Margaret Wairimu Kiringu formerly of Lois Holding limited, Nairobi on 20th May 2018 at Nairobi hospital after short illness. Loving wife of Ambrose Kiringu Gichu - Lichi Security Company. Mother of Miriam Nduta Kiringu of Multimedia University. Daughter of the late Harrison Mwangi Muriithi and late Martha Wambui. Step daughter of Cecilia Wanjiru Mwangi of E.M. Baringo sub-location, Gataragwa location, Nyeri County. Daughter-in-law of the late Joseph Gichu and the late Amalia Nduta. Sister of Cecilia Wamathai, Ngangu, Gichuhi, Veronica, Alice, Mary and John Maina. Step Sister of Linus, Samuel, Elizabeth, Jedidah, Muturi, Janiffer, Benson, Moses, Duncan Kiboi and the late Muraya. Sister-in-law of Mrs Agatha Kihoro, Mrs Nataline Njururi, Mrs Domenica Gitahi and Agelina Migwi among others Aunt of many. 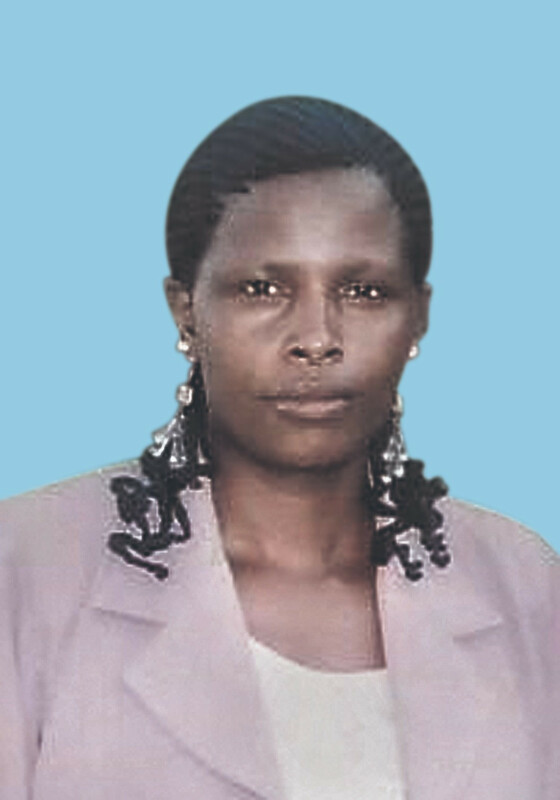 Family and friends are meeting daily at her home, Karima Othaya, Nairobi holy family Basilica, Tumutumu Girls’ and EM Baringo village (Muti Umwe) for funeral arrangements. The cortege leaves Outspan funeral home Nyeri on 29th May at 8.30 am for Karima Catholic Church. The funeral service will be held at Karima Catholic Church and thereafter burial at Karima the same day.